Offering convenience and comfort, enjoy well-equipped kitchen and fitness facilities at Amanta Hotel & Residence Ratchada. 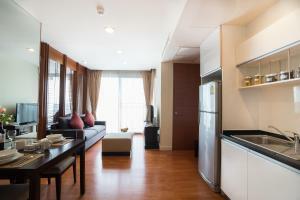 Offering free Wi-Fi, it is a 5-minute walk from to Thailand Cultural Centre MRT Station. 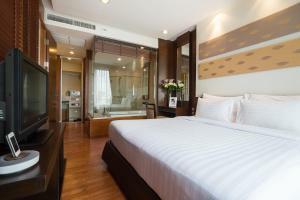 Amanta Hotel & Residence Ratchada is within walking distance of Esplanade Complex, Tesso Lotus and Robinson. 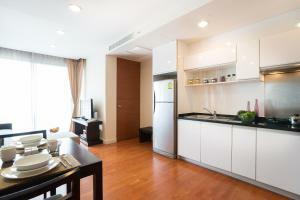 Offering free parking, it is 30-minute drive from Suvarnabhumi International Airport. 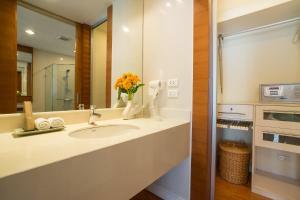 Featuring private balconies, modern apartments boast solid wood flooring and comfortable lounge areas. 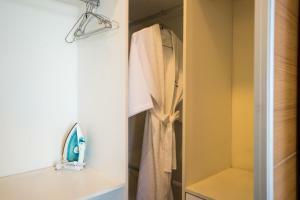 In-room comforts include a flat-screen TV, DVD player and walk-in closet. 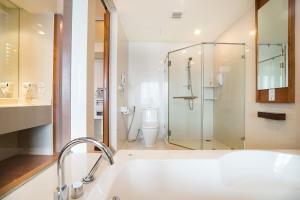 Enjoy the use of steam rooms after a leisurely swim at the outdoor pool. 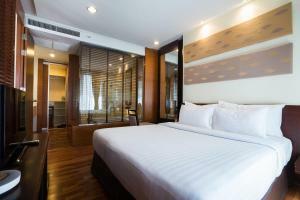 Staff at Amanta Hotel & Residence Ratchada are available throughout the day to help with business and laundry needs. Light meals are available at B&M Café, which features a pleasant outdoor dining area. Please be informed that requests for an extra bed must be made at least 24 hours prior to arrival date. Extra bed fees include breakfast. Please inform Amanta Hotel & Residence Ratchada in advance of your expected arrival time. You can use the Special Requests box when booking, or contact the property directly with the contact details provided in your confirmation. 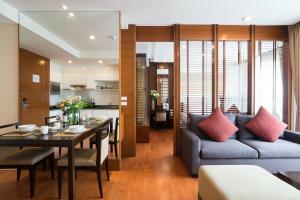 A security deposit of THB 3000 is required upon arrival for incidentals. This deposit is fully refundable upon check-out and subject to a damage inspection of the accommodation. 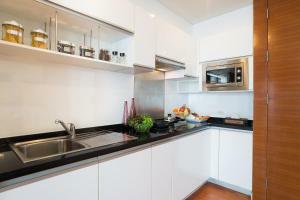 Fitted with wooden flooring, this spacious accommodation comes with a modern décor. 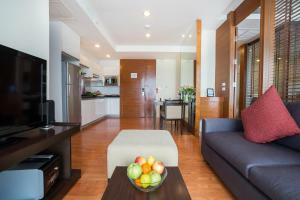 It is equipped with a kitchen, a flat-screen TV with a DVD player and Hi-Fi system. Offers pool views. Fitted with wooden flooring, this spacious accommodation comes with a modern décor. 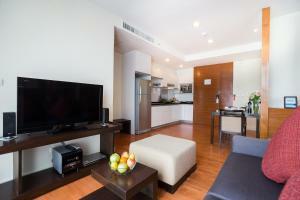 It is equipped with a kitchen, a flat-screen TV with a DVD player and Hi-Fi system. Offers city views. 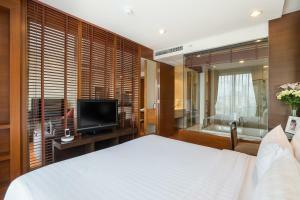 Rate: THB 3400.00 ... THB 8900.00; select dates below to get current rates.